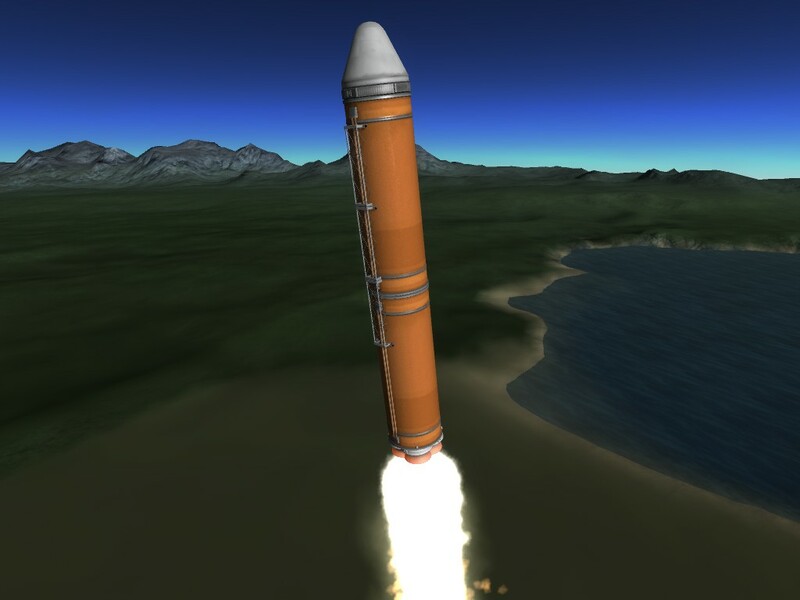 The compact and colorful new Advanced Solid Rocket Booster is the next must-have in professional rocketry. This 2.0 version crams all of the original’s goodness into a tighter shell, providing a smaller and more aerodynamic profile that the original lacked. 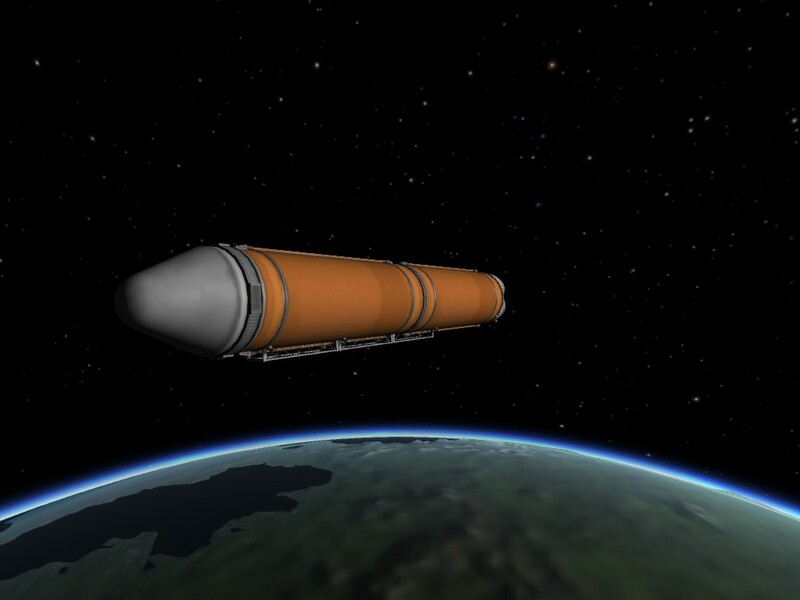 The nosecone recovery system has also been dropped in favor of simplicity and ease of use, as studies showed many of the autonomous boosters going rogue and attempting to form a union. The ASRB 2.0 is simple and fun for the whole family - grab yours today! 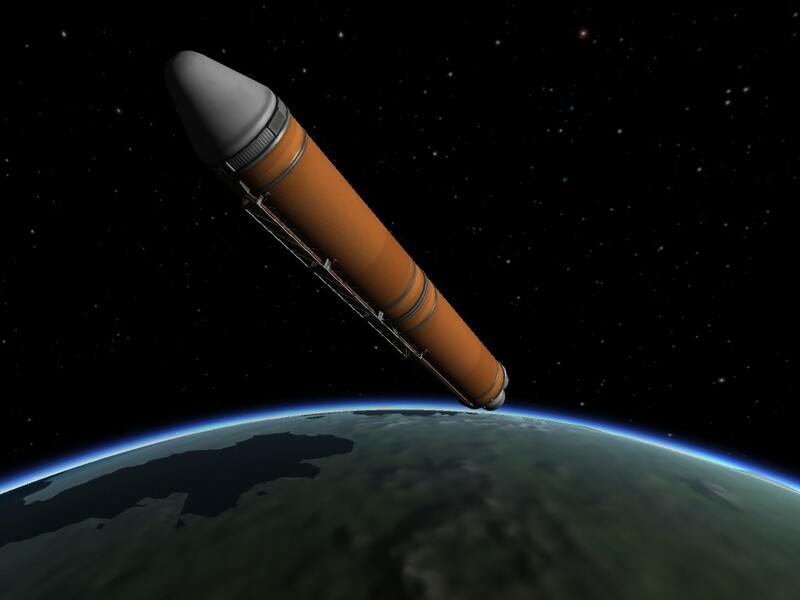 This is an updated version of the original Advanced Solid Rocket Booster ( http://kerbalx.com/CommanderSpork/Advanced-Solid-Rocket-Booster ) It is not a subassembly, I left it as a ship so that you can modify it as needed. To make it into a subassembly, grab it by the lowest girder (the root part) and drag it into the box in the subassembly tab. 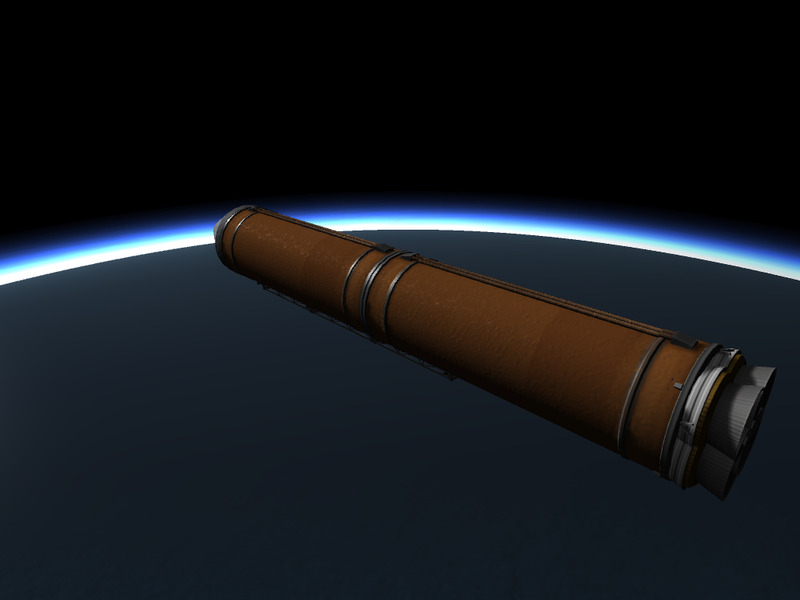 Add one of the large girders to the decoupler and rotate it up so that it’s vertical. 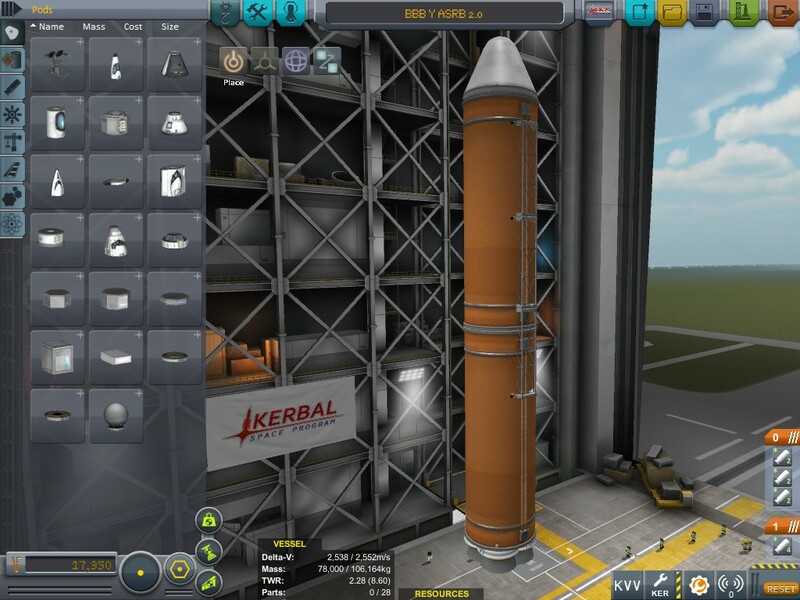 Move the bottom end of the lowest girder of the booster (the root part) onto the free attachment node of the girder you put on the decoupler. The free node will be facing up if you rotated correctly. It should snap into place as with any other part. 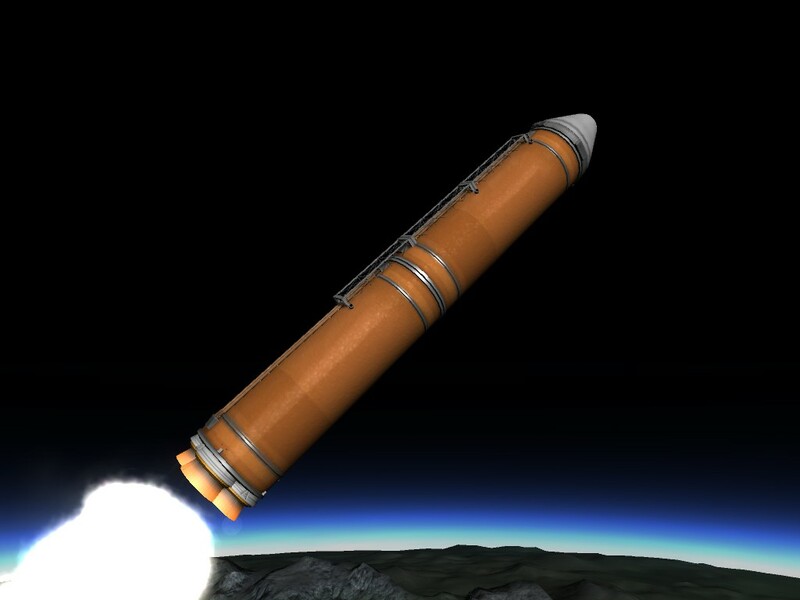 Add struts to the rocket as needed. 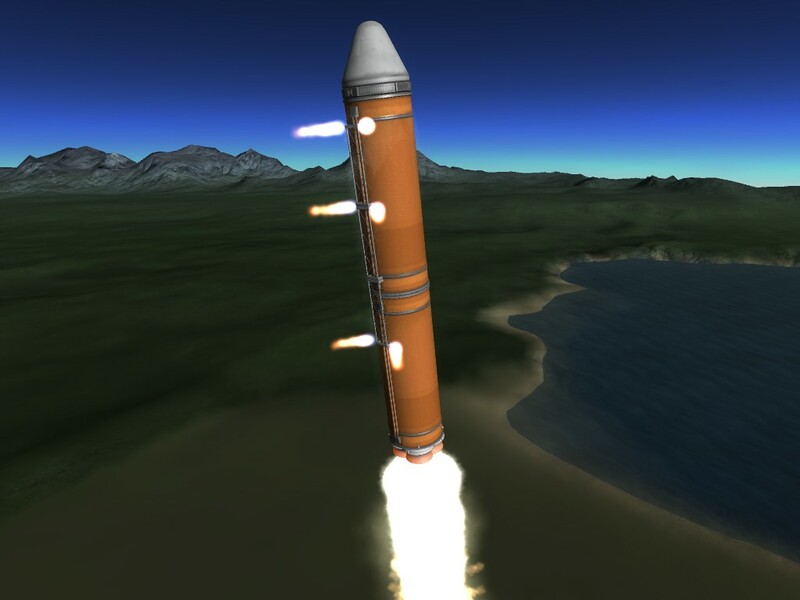 The Advanced Solid Rocket Booster 2.0 is 100% stock and haphazardly taped together with 28 recycled paper parts.